And those two quotes are so true. When I think of some of the organisations working in the intersection of technology and development, and then I think of the media or stories I associate with those organisations, few of them are women’s stories, and even fewer of them are women’s stories at senior level. But then I think “but I know a lot of women working in this space - and I do know senior women too! Where are they all?”. The truth is, their stories are not necessarily being told. As the UNHCR article says, we need to make women in innovation more visible, and correct the gender imbalance in the stories we tell. We need to tell more stories about the women working at the top of humanitarian innovation, and so today I’m telling the story of a woman working at the top of a very visible humanitarian innovation team for a very visible humanitarian agency - in fact, the same woman who shared the original UNHCR article that caught my eye. Tanya Accone leads UNICEF’s work to scale up proven innovations in multiple countries around the world. Her team supports 224 countries in applying innovations for real-time information, youth empowerment and access to information and learning. I’ve been lucky enough to work with her for the last few years on the UNICEF Innovation Scale team, and so we sat down together for a chat, for her to tell me her story, and to talk more about women in innovation and technology for development. Alex: Tell us about your career path - how did you get here? 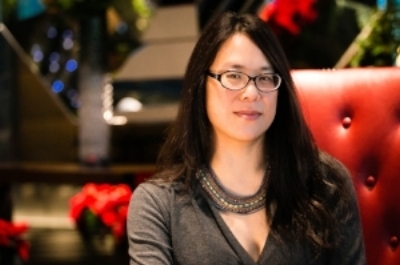 Tanya: So overall, I’d say my career has been focused on helping international public and private sector organizations understand how to amplify their impact through the convergence of innovation, communication and technology. After completing my journalism degree from Rhodes University in South Africa. I furthered that on a Fulbright Scholarship and part of the team that first launched The Washington Post in Washington DC online. I moved back to South Africa to become the Internet Editor of The Sunday Times, Southern Africa's largest media property. I then moved into developing internet businesses and content portals throughout the African continent. After years in the private sector, I saw that UNICEF were looking for a Deputy Chief for the Internet, Broadcast and Image section based in New York -- and I took the plunge and joined the humanitarian sector. I’ve now been with UNICEF for over 15 years, taking on different roles but I’ve been lucky to have that balance of innovation and technology coupled with humanitarian work, and have been able to nurture various innovation and technology for development initiatives - for example establishing and leading UNICEF’s global human capital futures and analytics portfolio. I now lead UNICEF’s work to scale up proven innovations in multiple countries around the world; my team supports 224 countries in applying innovations for real-time information, youth empowerment and access to information and learning. Alex: What kinds of projects are you working on right now at UNICEF Innovation? Digital health, where we use mobile phones and mobile platforms to help tackle some of the fundamental challenges in the health sector. We have built and scaled digital health platforms in 18 countries, which reach 85.8 million people (including mothers, community health workers, vaccinators and health facility staff), and which remind parents about actions that keep their babies healthy in the first 1,000 days of life, improve the coordination of vaccination campaigns and bed-net distributions, and manage the availability of life-saving health commodities. Internet of Good Things, where 19.5 million people across 61 countries get free, life-saving and life-impacting information through their basic mobile phones on a wide range of topics, including tips for caregivers to support early childhood development, advice on keeping children safe online, and how to recognize, prevent and respond to the spread of diseases. U-Report, a messaging platform for adolescent, youth and community participation and designed to address any issue that affects children and young people, U-Report collects information directly from children and young people or their parents to improve policy and programmes, and can also provide life-saving information to the most vulnerable in a timely way. U-Report has over 5 million members in 42 countries, with 10 more countries anticipated to launch in 2018. Real-time monitoring, where our open-source RapidPro platform gathers accurate and timely data on vital areas such as nutrition, education and child protection – even in remote and hard-to-reach places – and we use that data to reach those most in need. We’ve scaled this in 40 countries, reaching 3.3 million frontline workers and programme managers. UPSHIFT, a youth-led innovation programme where young people learn to become social innovators and create entrepreneurial solutions to problems in their communities. We currently have 300,000 young people in 8 countries who are involved in UPSHIFT. Accelerating programme results by design is where we support countries in applying human-centered approaches to design services. In Malawi, the new country programme benefited from insights from this approach, as has work among social workers in Myanmar. One of the things I’m particularly interested in, and that is a huge component of our work at UNICEF Innovation, is data. Half of the innovation solutions that we work on are data innovations - for us, it’s about being able to gather data and insights from hard-to-reach communities that we haven’t been able to reach before. Innovations like our real-time monitoring system can enable high frequency data that complements existing sources of data and that can help strengthen data systems - and we’re also able to use those data innovations to inform decision-making on a real time basis. Tanya with schoolgirls in West Papua, Indonesia, where a real-time information innovation helped to improve the coverage of an immunization campaign for 35 million children. Alex: Innovation and tech often has a reputation of being an “all-boys” club, particularly at the higher management levels, and this is true for humanitarian innovation too. It’s really great to hear from someone like you who is a woman in leadership in humanitarian innovation, but often the visible faces of innovation and humanitarian work are men. Why do you think this is? Tanya: It is true that the gender skew that you see in the private technology sector is unfortunately replicated in technology in the development sector - in my experience it does tend to be predominantly male (especially in the more ‘techy’ roles) and this gender gap widens the further you go up the leadership ladder. That’s not to say that women are not represented - my team alone has some excellent women working in innovation, and three out of the four senior managers at the Unicef Office of Innovation are women. But as the UNHCR article rightly states, women in innovation are not always as visible as their male colleagues. I’m a fourth-generation Chinese woman born and bred in South Africa, and I come from multiple collaborative cultures and roots: as a woman, as a Chinese woman, as an African woman, everything is about not drawing attention to yourself, doing things together as a community. You are always part of something bigger, you see your contribution as part of a whole, and not standing out. In terms of an organisational culture in the humanitarian / development sector, it’s also a culture of ‘We’ as well, it’s a culture of collaboration, it’s about contribution rather than attribution - but in my experience the technology sector generally has a culture of ‘I’, and so technology and development (or innovation in humanitarian work) is at many levels a clash of cultures: the ‘me-first’ ‘bro’ culture of the technology sector versus the more collaborative, greater-than-the-sum-of-their-parts culture of the development community. And in my experience I do think women in particular are often more collaborative, as a strength: a lot of amazing women I meet are often not as comfortable about talking about themselves and about their achievements as their male colleagues; it’s about gender norms, and cultural norms. In my experience, women are not often not culturally encouraged to stand out, to stake a claim and say ‘this is the piece of work that I did’, or ‘this is my achievement’; my female colleagues and peers have spoken about not wanting to grab attention for themselves or be seen to be ‘bragging’ or making themselves stand out, often preferring to see it as a collaborative effort rather than an individual achievement. And that often means that the faces of humanitarian innovations are not women, especially women of colour. Alex: So what do you think needs to be done? Tanya: I think one of the things that I’ve learned is as a woman in leadership in innovation, you need to speak for and represent that community of amazing women and help them make themselves heard and talk about their achievements - it’s about making that transition to speaking as a leader, as well as being part of the group. It’s not something that’s necessarily come naturally to me, given my background, but I’m working on it! I also think that where we as a technology for development community fall short is that perhaps we’re not necessarily helping the women working in innovation rise. Where they do rise to the same level as their male counterparts, they’re not supported in the same way - and they’re nowhere near as visible. As development and humanitarian organisations, we are meant to be sensitive to gender balance and the value of having gender diversity in our workforce in all sectors - that’s what we do in our very country programming! But obviously there are so many opportunities to do more both in the gender balance of innovation teams (and women in senior roles), and the gender balance of visibility. We have a great opportunity to not only show that there is no lack of talent among both men and women in this space (and at UNICEF Innovation we have tremendous bench strength, with really talented women at various levels that provide that pipeline in terms of the management team), and also to show that there is a level playing field for both men and women to lead humanitarian and innovation efforts through increased visibility. Alex: If you could give other women passionate about pursuing careers in humanitarian innovation or technology and development with one piece of advice, what would it be? Tanya: For a lot of the women I mentor, it’s about not feeling that the contributions that they make are not recognised in the team they work in, and they often ask me “Is it because I am not qualified enough?”. I often say the same thing to them - believe in yourself, have more confidence, recognise that in reality it’s often about the gender issues at play, so it’s about finding ways of being more resilient, finding other outlets and using other kinds of opportunities to share ideas beyond the organization and their usual networks. 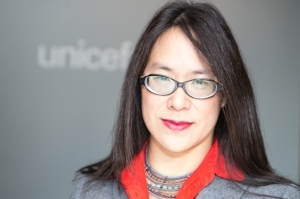 To find out more about Tanya’s (and UNICEF Innovation’s) amazing work, follow her on Twitter or LinkedIn.